Sadly, no article component this week due to ill health but I will share with you the next topic, due to recent changes to factions/units in New Japan, Dragon Gate and DDT, the piece will be focusing on the importance of these alliances in Puroresu. This week will be mainly results and news, so if you don’t want anything spoiled now, this is your chance to stop reading. 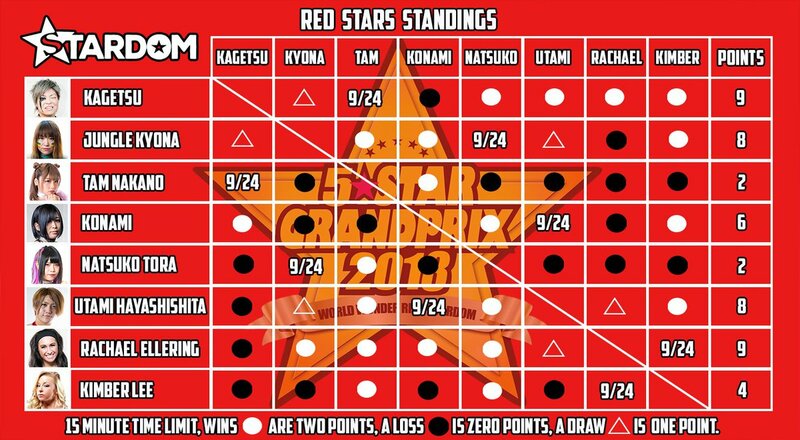 The Royal Road tournament is coming towards it’s climax, with the semi finals and finals taking place tomorrow, in Osaka. Former and current Triple Crown Champions, Miyahara and Zeus could meet in the final should they defeat their respective opponents. Miyahara faces Hino in the first semi, while Zeus faces Kengo Mashimo of K-Dojo in the other. On the 22nd of Sept, Shuji Kondo defeated Koji Iwamoto for the AJPW Junior Heavyweight Championship, becoming a 3 time champion in the process and ending Iwamoto’s first reign in under less than a month. Sabu appeared on today’s Korakuen show as DDT gear up towards Peter Pan 2018. DAMNATION defeated Disaster Box with Super Sasadango Machine in a ten man elimination match. Ethan Page has also returned for another tour with DDT. Moonlight Express, MAO & Mike Bailey successfully defended the KO-D Tag titles against the Brahman Brothers. Danshoku Dieno defeated Meiko Satomura and Shigehiro Irie to win back the KO-D Openweight title. He will defend against Daisuke Sasaki at Peter Pan 2018. Stronghearts, the breakaway group from DG, will be appearing at Peter Pan, with CIMA vs Takeshita and the remaining members of ALL OUT and Stronghearts in trios action. Shun Skywalker turned down the opportunity to join MaxiMuM, Dragon Kid and Kaito Ishida are still trying to join the group. Shingo Takagi has left Antias as he prepares to becoming freelance in October. Antias will change name and a new member will be announced at Dangerous Gate. Multiple matches have been announced for Dangerous Gate in Ota Ward Gymnasium on the 24.09, Special Singles: Kai vs Shingo Takagi, ANTIAS vs Natural Vibes 5 on 5 elimination. Eita defends the Open the Brave Gate title against Dragon Kid, BxB Hulk & YAMATO defend the Open the Twin Gate against Masaaki Mochizuki & Shun Skywalker and Masato Yoshino defends the Open the Dream Gate against Naruki Doi. Marufuji is both the focus of the attention of Kenoh for a singles match and from The Hooligans who want a tag title shot, both are being rebuffed. Kaito Kiyomiya wants to challenge again with a different partner, he wasn’t pinned when he and Kenoh lost. Global Junior League is still ongoing and YO-HEY is leading his block on 7 and is a likely candidate to be in the finals. Sugiura and Nakajima have been meeting in various match ups in the build to their upcoming GHC Heavyweight Championship match. Taichi is the new NEVER Openweight Champion, defeating Goto in Beppu. Tanahashi successfully defended the right to challenge for the IWGP Heavyweight Championship at the Tokyo Dome, pinning Okada for the first time in 4 years in the process, at Kobe World today. Post-match, White attacked Okada and Tanahashi. YOSHI-HASHI botched a save. Gedo also turned on Okada. YOSHI-HASHI was stretchered out. LIJ and BCOGs have been hinting at recruiting new members. 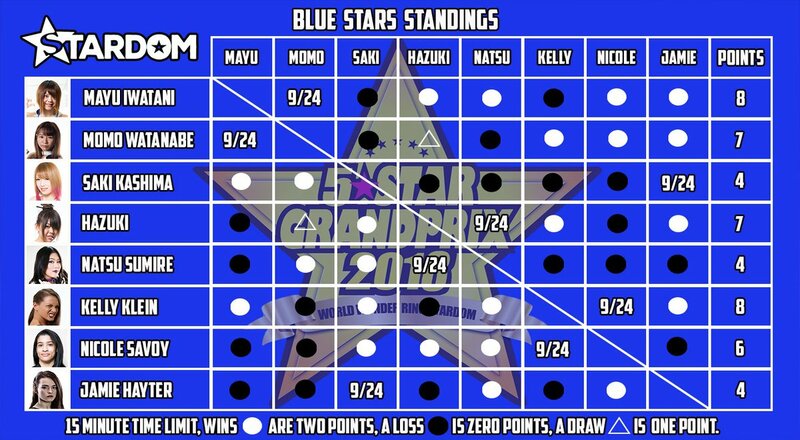 At the end of the 5 Star Grand Prix tour, Kagetsu will face Momo Watanabe with both the World and Wonder of Stardom titles being on the line, the winner of the Grand Prix will face the winner of the double championship bout. Tomorrow will determine the final. Winner of each block facing each other. General news/results garnered from Cagematch, NJPW 1972, all-japan.co.jp, Dramatic Fan Site, gaora.co.jp/dragongate and @Hi5ame.